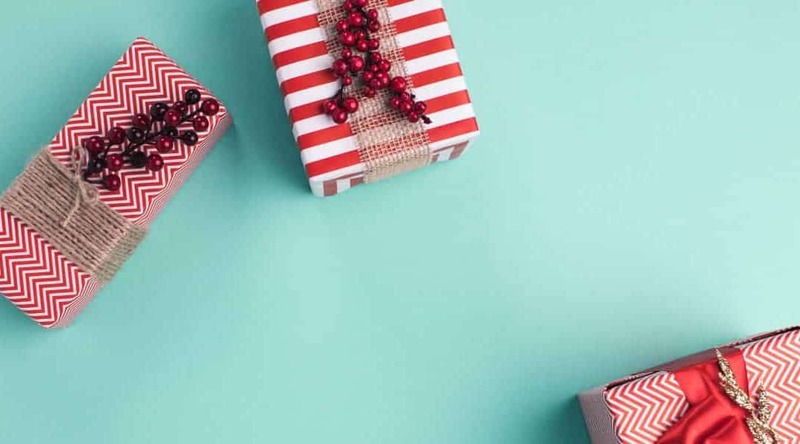 Sometimes you need to buy a gift that is meant for someone, and it needs to be generic enough that you can give it to anyone. Maybe it’s because you want it for yourself if they don’t give you anything (no judging) or maybe it’s just you need a gift that you can give to anyone without offending them. 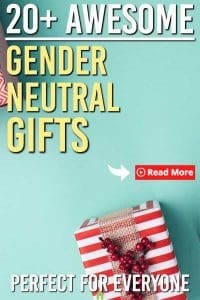 Either way these Gender Neutral Gifts for Adults are a great collection of gift ideas that you can buy your friends and not have to worry about whether it’s a good fit or not. We borrowed one of these from our neighbours when we went to Maui this summer and it was amazing. It’s nice to have a camera that doesn’t have your whole life attached to it (like your smartphone), while at the same time it’s able to go underwater and take amazing pictures. If you are looking for a great gift this tops the list. This is a great unisex gift for any adult. See all that they can do here. These cameras are all the rage. This camera prints off pictures after you take them so you can give instant memories when you take pictures with your friends. They come in 5 colors, see them all here. If you know someone who spends all day on their feet then this is the perfect gift for them. All they need to do is sit down and put their feet into this infrared heat massager and heaven awaits. See everything they can do here. This is a nice way to give someone a drone without breaking the budget. These little guys are perfect for doing flips and turns and are really a lot of fun to play with. Find out all they can do here. Everyone has likely heard of a FitBit by now, but a lot of us don’t have them. This is a great gift for someone who is getting into tracking their fitness and they come in a nice black so it’s gender neutral. See all the different options and what they track here. Essential oils have exploded over the past few years. If you know someone who is thinking about them this is a great diffuser that you can get. It offers cool mist and is adjustable. Find out more about essential oil diffusers here. If you are looking to cut the cord, or just to compliment your TV viewing, you can pick up the Amazon Fire TV stick for a great low price. If you really want to up your game with it, you can try out Amazon Prime, which will give you access to Amazon Prime TV, their music streaming service, photo storage and so much more. Any wine related gift is probably going to be a runaway success. This one is a great electronic wine opener. Whenever we see someone take this out at their house we are insta-envious. They just look so cool, don’t they? Find out more about the electric wine openers here. These tiny trackers are great for finding your lost keys and anything else that seems to go missing around the house (or elsewhere). Tile has created a nice ecosystem where you can track your tile to the last place it was left. They become indispensable to you once you have them. They come in 1 and 4 packs, find out more here. This little speaker just looks cool! It’s bluetooth so it will work with practically any device that you have and it pumps out a decent amount of sound. But the best part is how it looks! The lighting on it gives it this futuristic look and it would make a neat gift to give. If you haven’t tried VR yet, you are missing out! We got the PS4 VR helmet and everyone who tries it is blown away by the experience. They all leave wanting to go out and get one of their own! If you don’t have a Playstation 4, then you can get smaller style ones. They aren’t as powerful, but they are a great place to dip your toe in the VR pool. Here is one for you to check out. I love my Keurig! It’s the best part of my morning routine. Plus now that they are being even more environmentally friendly, there’s an added reason to love Keurig Single Serve coffee maker even more! I like how they are moving away from just the black model. With these colors they allow you to give your kitchen it’s own unique vibe. Anyone who gets one of these will love it. Pinky swear promise. There is nothing more fun than making your own ice cream….. well maybe except for eating homemade ice cream. The price of these has come down in years and they are easier to use than ever before. See all the different kinds of ice cream you can make here. If you know someone who loves to travel, then this cork globe will be a huge hit. You can put pins into where you have been so it’s a really fun way to highlight your travel destinations and discover new places to go. They are a great price, check them out here. As far as an all around safe gift to get someone in the office workplace, a portable charger is it. It’s perfect for people commuting back and forth on the bus or for anyone that has a phone and needs power. We have a few of these and they are awesome. When you need power for your phone, it’s a must have! They come in several different colors and you can see them all here for which one is best for you. If you know someone who loves a heavy blanket, then you are going to love this. These blankets are perfect for calming people down and can help with insomnia and sleep deprivation. They come in so many sizes and colors that it’s probably best to check them out here. I don’t know about you, but charcuterie is all I’m seeing in restaurants. This slate cheese board is a great gift for someone who loves to host or for someone who socializes and brings cheese. That was worded wrong but you get my point. If you know someone who loves being sociable, then this gift is one you can put a fork in (sorry… bad joke). Did you see something you can buy? 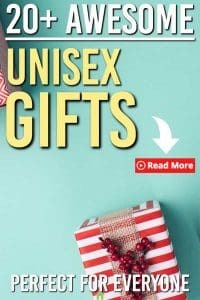 If not these gift posts might help you out. Find this useful? Share it with others so they can find it!